Blended learning isn’t a brand new phenomenon. Firstly, blended learning implies performing a portion of classroom tasks online. Yes, using computers in classrooms isn’t new for modern educators or students. We all are using email and online materials for studying. However, not every teacher uses collaborative platforms and other similar services in their daily class work. We need to have a more careful look at present-day blended learning. Let’s roll! Collaborative platform is a category of software created for interaction among its users. Thanks to this type of networking, teachers have a chance to manage student work, organize study groups, start discussions, share materials, give quizzes, and do lots of other important things. Students in turn can work on projects together, participate in discussions, give feedback, and so on. Edmond’s about page says, “Edmodo is where education meets innovation.” That’s what you actually need to practice blended learning. This software is an online platform that allows collaboration and content sharing. Teachers can post homework assignments, grade student work, create discussions, and manage student activities. 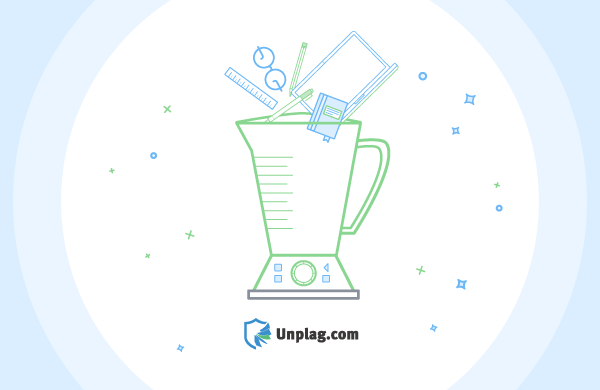 Unplag Solution for Educators promises its users an easy workflow. Students submit their work and their papers go through an automatic check for plagiarism and proper citing. After that, teachers grade checked works and write comments or send them back for rewrites. Users can also expect a grammar checker to soon be integrated into the Unplag Solution for Educators. Redbooth is a collaboration and communication software used in different institutions (schools, colleges, universities) and companies. Users have a working space where they share and store materials, discuss issues, etc. They can even use HD video for chatting and conferencing. Wikispaces Classroom is a social writing platform. Students work on their projects and participate in discussions, teachers assess student work, write recommendations, or just help with student projects. What benefits do collaborative platforms have? Catlin R. Tucker, a teacher who used blended learning, shares her own experience. She says that once she posted a question and the first students who answered it were those who usually stay silent in the classroom, while their classmates are talking over each other. What else can educators do to make blended learning effective? Search for videos on TED-Ed or YouTube. Select the one you’d like to make the center of your lesson. Add your comments and questions to the lesson. Voilà! You’ve just learned about how to organize a classroom work. Fantastic! And the final thing: Students must realize their work in class and online are interdependent. Organize your learning activities in such a manner that the assignments can complement each other. Create an online discussion where students can leave their feedback regarding the recent class. Or give some quizzes. Or inform students about recent updates online. Use new options and enjoy the results!